Vegetable production in peri-urban corridors must expand to address Africa’s rapidly changing demographics, increasing demand from urban consumer markets, and urgent need for a more nutritious food supply. Vegetable production in peri-urban corridors must expand to address Africa’s rapidly changing demographics, increasing demand from urban consumer markets, and urgent need for a more nutritious food supply. A diverse group of partners from Tanzania, Malawi, Mozambique, Ethiopia and Australia gathered in Arusha, Tanzania from 1-4 October 2013 to plan activities that will make it possible for more people to participate in urban horticulture through a new project, “Improving Income and Nutrition in Eastern and Southern Africa by Enhancing Vegetable-based Farming and Food Systems in Peri-urban Corridors” (VINESA). 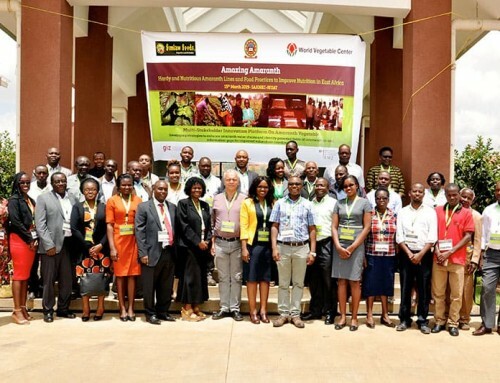 AVRDC – The World Vegetable Center is leading the initiative, which will involve Africare (an NGO headquartered in Washington DC, with offices in 23 countries in sub-Saharan Africa), the International Potato Center (CIP), scientists from the four countries, Australian consultants, and hundreds of vegetable business professionals in 120 communities. The five-year project is funded by the Australian International Food Security Research Center (AIFSRC). Abdou Tenkouano, Director, AVRDC Regional Center for Africa, told workshop participants that by focusing on nutrition, income and increasing social capital, the project will help address some of the key challenges Africa faces, including changing rural and urban labor markets, youth unemployment, malnutrition, and capacity. Project partners set up operational structures and committees, developed work plans and milestones, and created task forces to address cross-country themes including production, postharvest and nutrition, and policy and capacity building. Developing linkages with related projects fosters the dissemination of knowledge and builds the capacity of project participants; to extend its reach, the VINESA team will connect with AVRDC initiatives on traditional vegetable characterization, capacity building of PhD students, and horticultural innovations for learning and agricultural research, and to projects supported by the Food Security Centre (“Farm Power and Conservation Agriculture for Sustainable Intensification” and “Increasing Irrigation Water Productivity in Mozambique, Tanzania, and Zimbabwe Through On-farm Monitoring, Adaptive Management and Agricultural Innovation Platforms”) among others. Workshop participants visited Afrisem, a seed company that aims to supply African vegetable growers with affordable hybrid varieties and top quality seed. A reliable, high quality seed supply is critical for vegetable production, and Afrisem and other seed producers are an important link in the vegetable value chain. 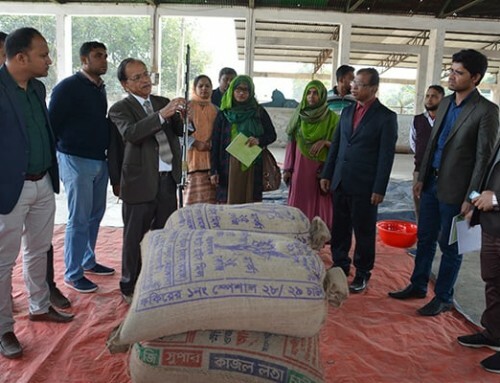 During a visit to DARSH, a tomato processor that produces Redgold brand tinned tomatoes, sauces and jams, participants learned about food safety, quality control and other issues. (AVRDC’s ‘Tanya’ tomato is DARSH’s most preferred variety for processing.) 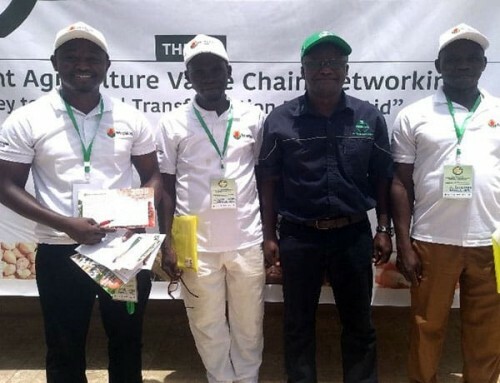 Collaborative relationships with the private sector will foster improved technologies and practices for postharvest storage, value addition and processing. 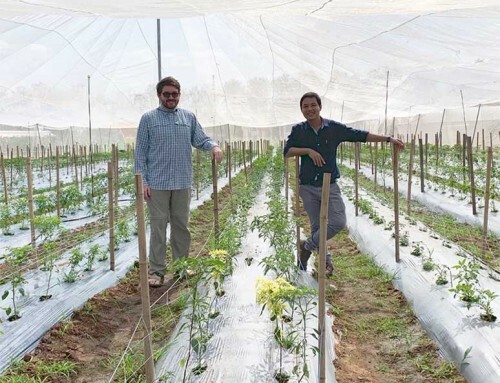 Best Practice Hubs (BPHs), one of the defining features of VINESA, are designed to address knowledge gaps along the vegetable value chain and serve as centers for education, crop trials and experimentation. 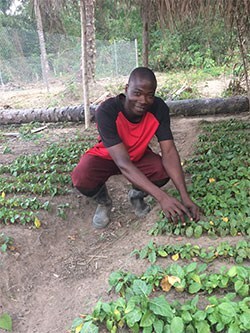 The aim is to draw young future producers into communities of practice, where they can learn, evaluate and adapt vegetable production and postharvest technologies, support diet diversification through improved crop varieties, and develop effective value chain analysis skills to support income-generating activities and build strong market relationships. “The project will contribute to lifting people out of poverty by improving nutrition and increasing incomes,” said Tenkouano. The enthusiasm and commitment demonstrated by all VINESA partners will soon make that statement a reality. 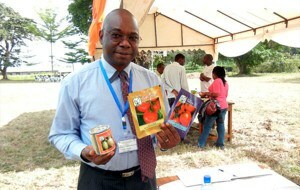 Abdou Tenkouano with some of the superior vegetable seed selected for testing in the project’s Best Practice Hubs.